It can be a daunting experience! Once again, I am here to help guide you along the way to making the best choice for you. By all accounts listen to what experienced climbers say, but remember that in the end it is down to what feels right for you. Choose a Shoe that can do everything! OK… this is technically a lie because no shoe can do everything, but there are definitely models I would refer to as all-rounders. For someone relatively new to the sport that wants a shoe that can perform well indoors, outdoors and on all angles, then this shoe is what you’re going to want to go for. 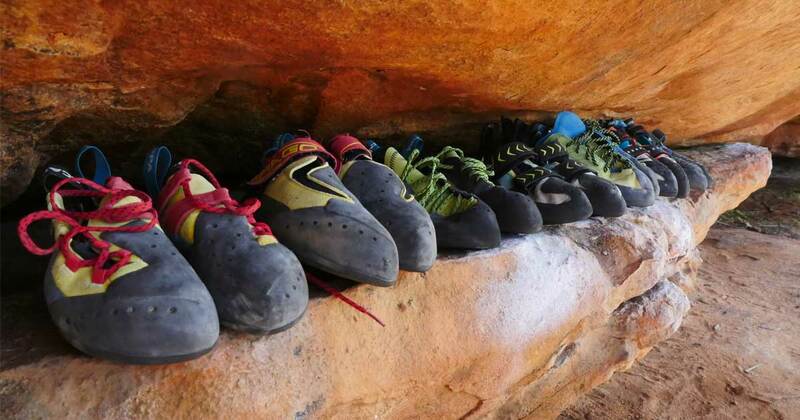 Understanding the fit of climbing shoes and the shape of your feet is the next hurdle. We’re not all built the same and therefore not all our feet are the same shape. The same can be said for climbing shoes. The truth is that every shoe company builds their shoes to different moulds called “Lasts”. SCARPA uses around 11 different Lasts meaning that there should be a pair (or several) in each brand that will fit your feet. In SCARPA, we label the “Last” on the inside of the shoe e.g. FZ. What this means is that every shoe with an FZ Last will have the same Shape and Volume and should in theory fit your foot if other FZ shoes fit. Likewise, if an FZ Last doesn’t fit your foot, then it’s also likely that others won’t either. The only differences between shoes of the same Last are the rubber type, rubber thickness and panelling on the inside. What this means is that potentially another shoe built to the same Last could have a different “Feel” but it won’t have a different “Fit ”. Why do they build shoes to different Lasts? Well, different shoes do different things and for them to work most effectively in some types of climbing, a different shape is more effective. A good example of this is a downturned shoe, which is generally more effective for climbing on steeper terrain than a flat shoe. But most importantly, the Last is required to be able to fit the wide array of different shapes of feet that exist. So, when you are trying a shoe on for the first time, what is it you are looking for? 3) Shouldn’t be painful, but expect the shoes to be tight! Down-Turned Tip: When I am putting a brand-new pair of tight down-turned shoes on for the first time, occasionally I have to use the aid of a bit of a plastic bag to slip the heel inside (this reduces the friction on the heel). Usually after the first session the shoe is stretched/broken in enough that I no longer need to do this. 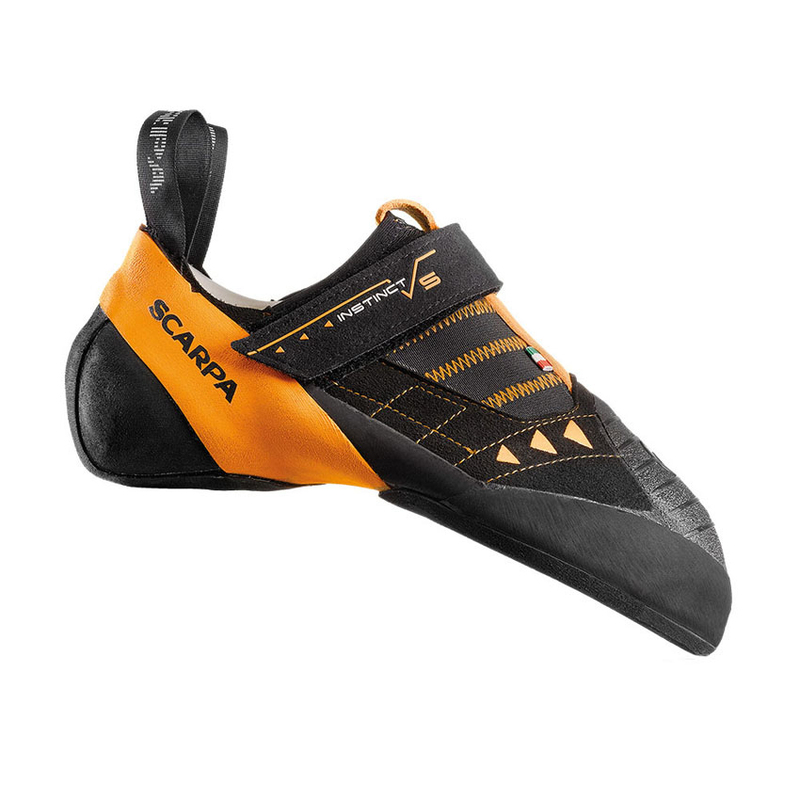 SCARPA Mago – One of the most down turned shoes in the range, but surprisingly versatile. 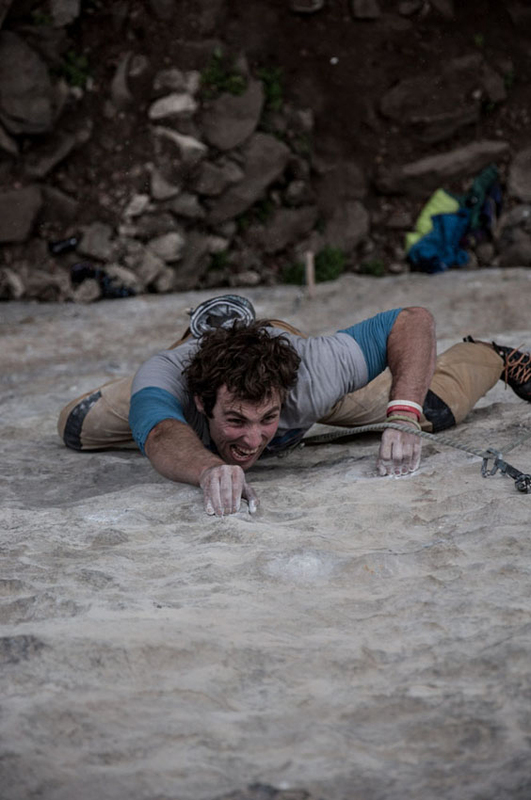 It’s a good idea to try climbing in a pair of shoes before you buy them. 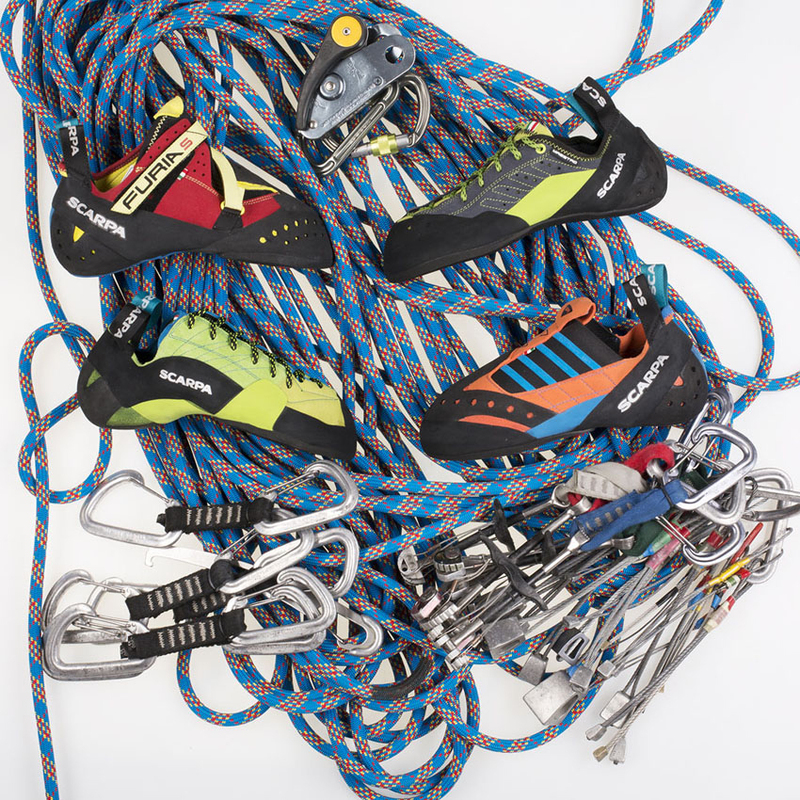 Did you know that climbing shoe brands run “Demo Nights” at climbing walls around the country? 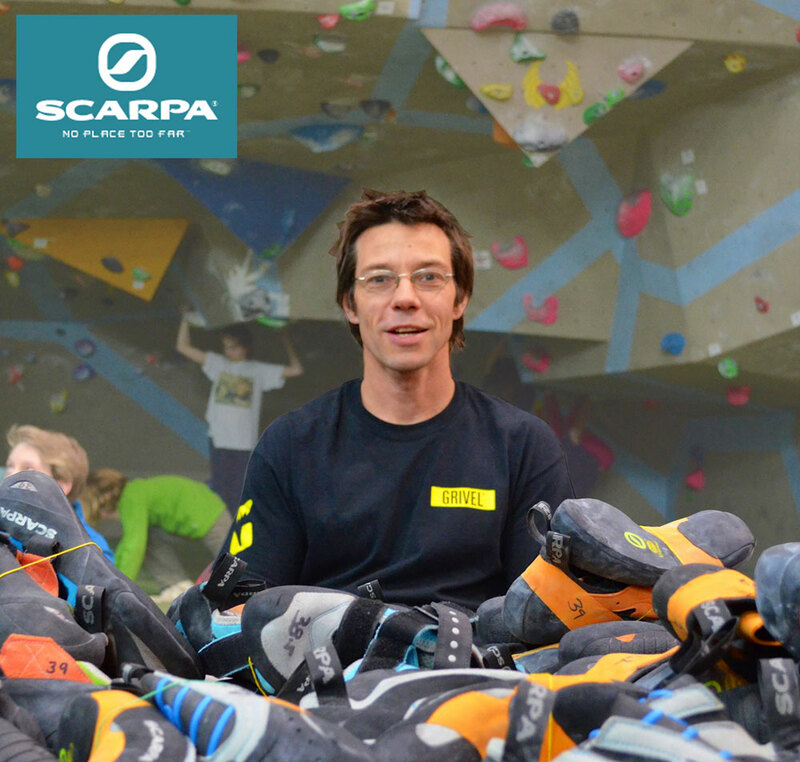 SCARPA run them with professional climbers in the UK, where you not only get to try on any pair of climbing shoes you want for as long as you want, but you also get to discuss the detailed specifics of these shoes with some of the best climbers in the world! Usually there are also Discounts if you purchase on the night, which can make it a money saver. 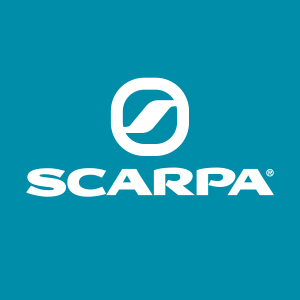 Follow SCARPA on social media or check their website (specific to country) to keep up to date with Demo Nights near you! 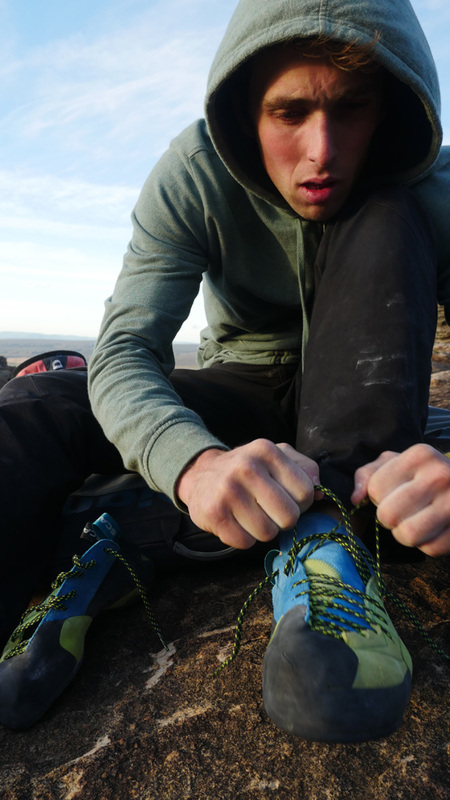 The two shoes I point a lot of climbers starting out on their first technical pair of shoes are the Instinct VS-R and the Vapour V.
Instinct VS-R: The Instinct VS-R is the most sensitive in the INSTINCT LINE as it uses a softer rubber compound called XS Grip2. This means it is much better at smearing and gripping on larger surface areas such that you would find if climbing a lot indoors or on slabs outside. It’s also got a very supportive insole that the entire INSTINCT LINE has which makes it a nice introduction shoe as you won’t lose a lot of the same support you’d previously had coming from a more supportive shoe in the COMFORT LINE. 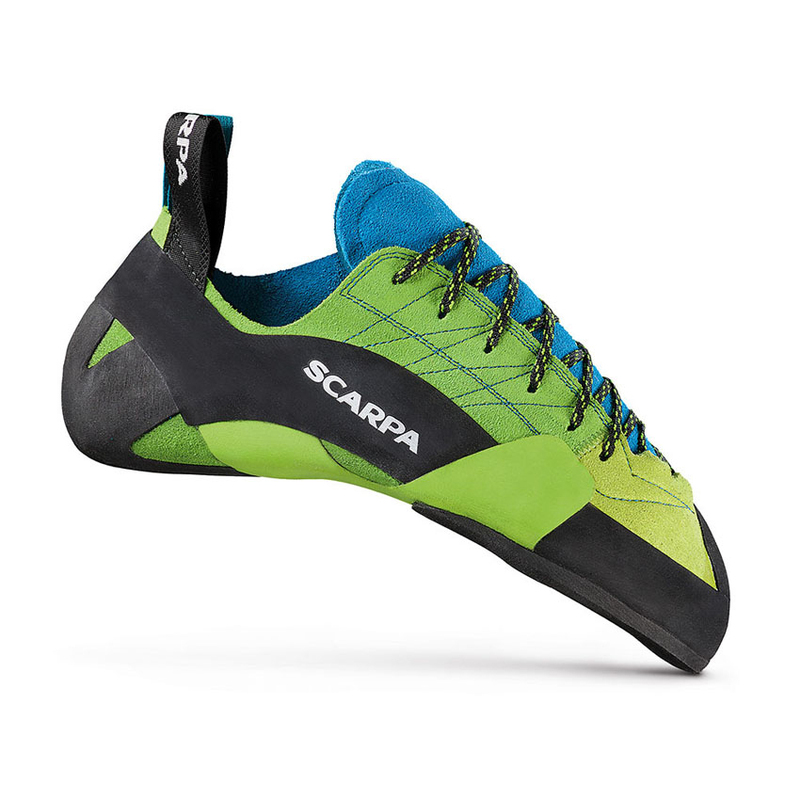 Lastly, it’s got a very ergonomic shape, being only slightly curved with a light down-turned profile – an ideal first technical shoe for climbers who want to climb both indoors and outdoors on lead and boulder. Vapour V: The Vapour V is a Velcro shoe with a much more supportive insole across the entirety of the shoe and uses a stiffer rubber called XS Edge. This combination makes the Vapour V a very supportive model, one that will feel most certainly an upgrade from the COMFORT LINE but also still a very comfortable shoe. It’s less sensitive than an Instinct VS-R and therefore I would tend to push this towards climbers who are doing more Lead/Top-Roping on slab/vertical walls and would like that extra support through their feet. Extra Note: If you like the Instinct VS-R but want more support than what the XS Grip2 offers, then there is the Instinct VS (Orange instead of Blue) that utilises an XS Edge rubber sole similar to the Vapour V, but has a more flexible body. Before the Instinct VS-R it was the Instinct VS that was my “go-to” pair for indoor and outdoor bouldering! It’s worth it to talk to someone who knows what they’re on about. This could be at a Demo Night, or even at a “Gear Store”? If you’re purchasing from a local retailer, ask inside if there are any climbers working there who could help you select the right size/pair of climbing shoes. I’ve always placed a very high value on Demo Nights at walls where you get to “Try Before You Buy”. 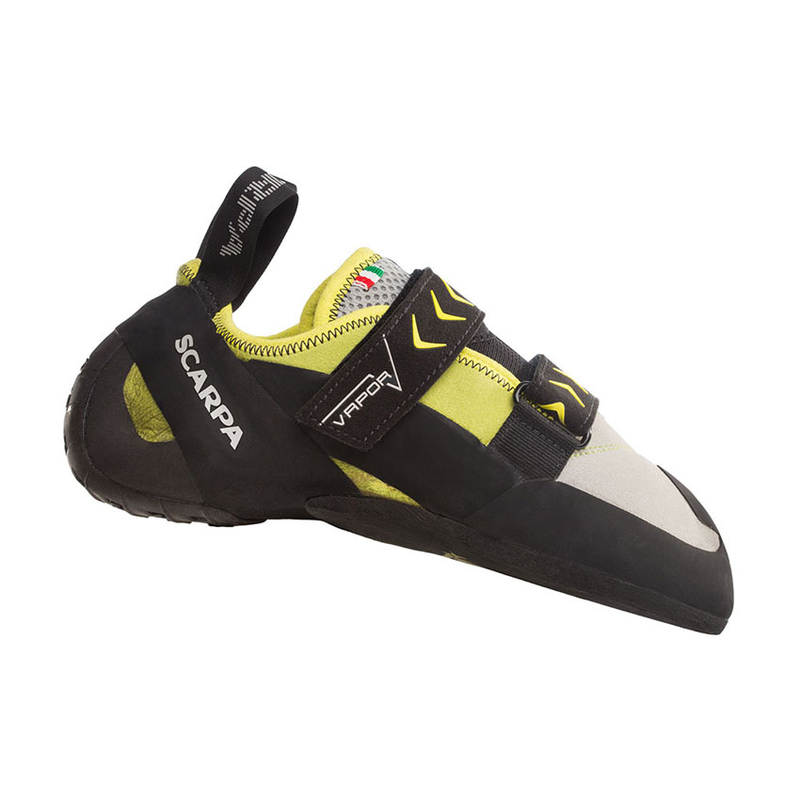 I run these alongside many other professional climbers across the UK and SCARPA run these all over the globe, where in your local wall you’ll get to not only try on a selection of the latest SCARPA range, but also talk to a professional who know exactly what they’re talking about.